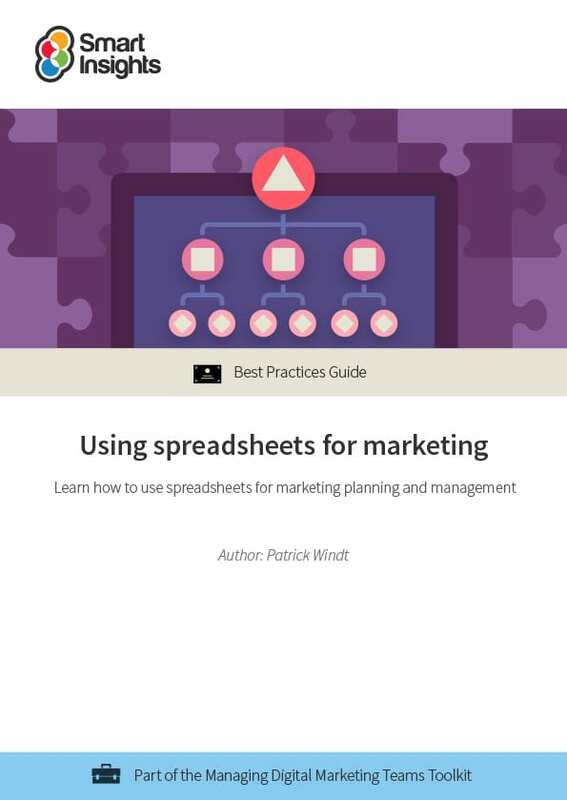 Yet, depending on their background, many marketers may not have learned how to get the most from spreadsheets. 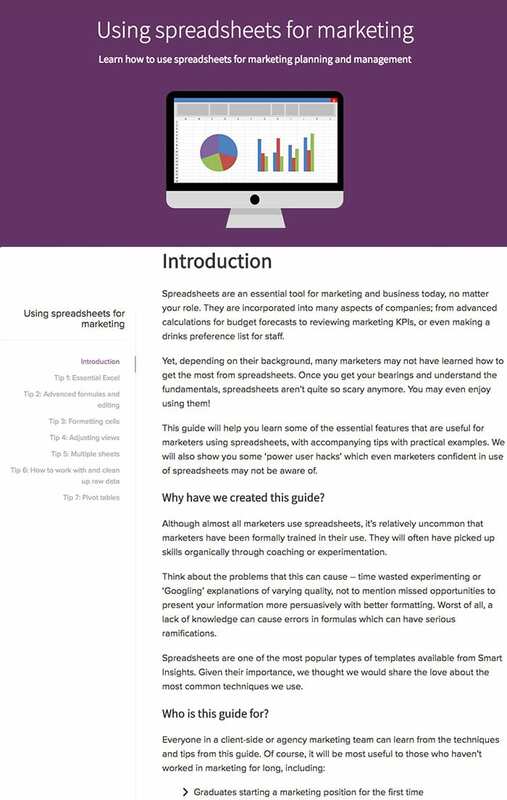 This guide will help you learn some of the essential features that are useful for marketers using spreadsheets, with accompanying tips with practical examples. They will help you make complex calculations easier, visualize your results clearer, and speed up your day-to-day work. Patrick Windt is a freelance marketer working for Smart Insights since 2015. From his home in the Netherlands, Patrick has travelled, lived and worked in Ireland and the United Kingdom for 5 years in the Tourism/Education sector. Besides an expertise in email marketing, he is a whizz in Photoshop and a strong proof reader. Connect on LinkedIn.